As a member of the accounting team in Canberra, Andrew Thomson specialises in self managed super fund accounting, administration and taxation and assisting clients in both Canberra and Brisbane with the establishment, administration and compliance of their SMSF. On a day-to-day basis, Andrew is responsible for managing a team that proactively and efficiently handles the ongoing accounting and administration requirements of his clients’ SMSFs throughout the year. Andrew is a direct point of contact for all his clients. He completes clients’ financial statements and tax returns and organises the independent audit at the end of every financial year. Andrew places high importance on accuracy and works to ensure all work is of the highest standard. According to Andrew, providing excellent customer service is vital in building good relationships with his clients and as a key member of the senior management team, his responsibilities include ensuring our staff consistently perform to high standards. “Our clients appreciate the services we provide and the comfort of having experts look after all aspects of their SMSF, such as the ongoing compliance and accounting, investment advice and strategic financial advice.” Andrew says. 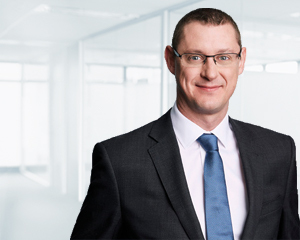 Before joining Dixon Advisory in 2008, Andrew Thomson worked in the superannuation industry in the United Kingdom for over 15 years.